Many people in the West portray Japan as being fixed in its ways, and unable to change, and consequently risking national decline and international loss of prestige. However, in fact, Japan is at present in a significant transition period, comparable to the Meiji Restoration of 1868 or the period immediately after the Second World War. This transition period comes with a mixture of events and situations which are difficult to interpret both for foreign as well as domestic commentators and decision makers. 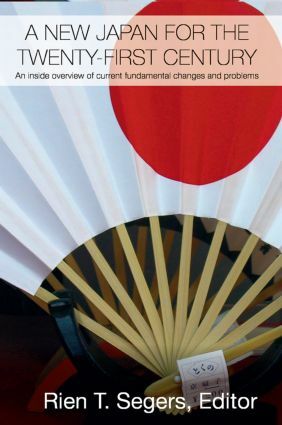 In this book a range of senior experts from inside Japan outline the many considerable changes currently taking place in a wide range of fields, including the economy, business and technology, politics, governance and international relations, and a wide range of social issues - the media, the position of women, nationalism and national consciousness, and religion. Overall, the book provides a corrective to misplaced Western and Eastern views; it aims to redirect stereotyped thinking about contemporary Japan both inside as well as outside the country. In addition it gives a summary overview of contemporary Japan, its current changes and problems– in short the inside story of the second strongest national economy in the world which is in the process of fundamental re-engineering and which will continue to have a huge impact globally going forward.